Fill out our simple form and get quotes from local Race Night Hire Companies. 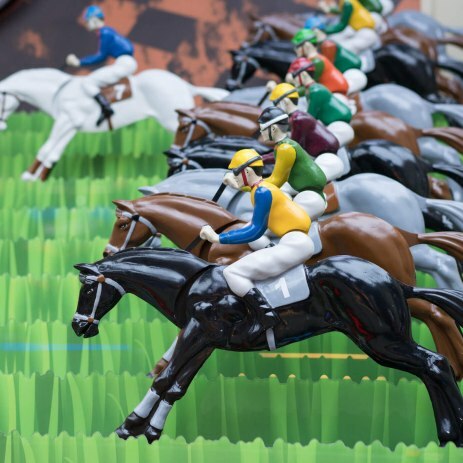 What better way to get your guests involved in your event than a race night. So much fun and the opportunity to get a little competitive. If you’re raising money or organising a fundraising event then these are definitely worth checking out. With the race operators in character, a professional Tote Booth, PA System, Betting Tokens and Race Card, the scene is set for a great day at the races. With options of horse racing and horse pig racing nights among others, there is a lot to choose from and it is something that will really get guests involved in your event. Many organisers will arrange the set up for you, allow you to make full use of the games during your event then return to dismantle and pack down the equipment after, alternatively some of our suppliers will offer a member of staff for the time of hire, if it is a shorter event.